I’ve known Ken for eight years. Not only did we work together during my time at JP Morgan Partners and then its successor Panorama Capital, but our families vacationed together. Ken has made a career out of fitting and lacing founders' shoes for their startup marathons. Now he’s sporting his own pair of startup shoes and I think he quite likes how they feel! Ken serves. He has an insatiable curiosity for why companies and entrepreneurs are special and how he can be helpful. Given he’s a hyperkinetic connector, getting assistance from others to help solve an entrepreneur’s challenges comes easily to him. I loved watching this approach at Silicon Valley Bank, where he played a role in helping great entrepreneurs at Android (GOOG), Cornerstone (CSOD), Demandtec (DMAN), Facebook (FB), Guidewire (GWRE), Jive (JIVE), LinkedIn (LNKD), PGP (SYMC), Placeware (MSFT), VMWare (VMW), and Zendesk (ZEN) and being SVB’s relationship lead for Accel, Battery, Bessemer, NEA and Sequoia Capital. People are drawn to him because he cares, is trustworthy, and is committed to excellence.  At SVB, Ken thrived on inventing new products. Two of those would become precursors to the services delivered by Founders Circle today. The first was building a quantitative model and analytics engine to identify, rank and profile the highest performing private technology companies. The second was creating a service to provide founder liquidity, exclusively for the highest performing companies, based on the value they had created to date. The founder liquidity service was inspired by one seminal moment where the story reflected untold numbers that preceded it. Over the course of the bank's history, founders continually approached the bank about credit based off of their illiquid private stock. One particularly notable example was when Ken was invited over to Sequoia Capital to discuss how he might help the CEO of a company that was experiencing breakaway growth. The CEO relocated to the Bay Area and was seeking a means to secure his family into a home and send his kids to school. The goal was to address these family needs while keeping his sights trained on the company's IPO, still a few years in the offing. Helping to solve this CEOs challenge served to launch several new product strategies around founder liquidity. Having known Ken all this time, I knew he was working on productizing a set of founder liquidity offerings. But, it wasn’t until Chris and I went to visit with Ken’s boss, John China, that he put it all together for us. With John’s and Greg Becker’s blessing, Ken co-created Founders Circle with us and brought SVB as an exclusive strategic partner.